This complete guide to the Perl programming language ranges widely through the Perl programmer's universe, gathering together in a convenient form a wealth of information about Perl itself and its application to CGI scripts, XML processing, network programming, database interaction, and graphical user interfaces. The book is an ideal reference for experienced Perl programmers and beginners alike. With more than a million dedicated programmers, Perl is proving to be the best language for the latest trends in computing and business, including network programming and the ability to create and manage web sites. 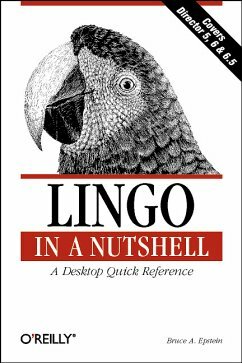 It's a language that every Unix system administrator and serious web developer needs to know. In the past few years, Perl has found its way into complex web applications of multinational banks, the U.S. Federal Reserve, and hundreds of large corporations. In this second edition, Perl in a Nutshell has been expanded to include coverage of Perl 5.8, with information on Unicode processing in Perl, new functions and modules that have been added to the core language, and up-to-date details on running Perl on the Win32 platform. The book also covers Perl modules for recent technologies such as XML and SOAP. As part of the successful "in a Nutshell" book series from O'Reilly & Associates, Perl in a Nutshell is for readers who want a single reference for all their needs. Nathan Patwardhan is an active Perl Monger and has extensive experience in system administration and application development for web based corporations. He is also the co-author of the first edition of Perl in a Nutshell and Programming with Perl Modules (distributed with the O'Reilly Perl Resource Kit). Ellen Siever is a writer and editor specializing in Linux and other open source topics. 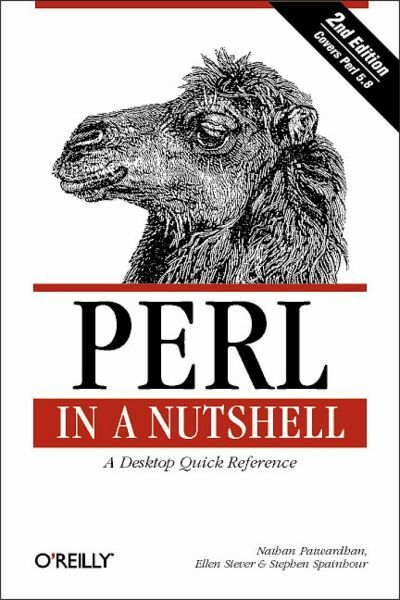 In addition to Linux in a Nutshell, she coauthored Perl in a Nutshell. She is a long-time Linux and Unix user, and was a programmer for many years until she decided that writing about computers was more fun. Stephen Spainhour co-authored Webmaster in a Nutshell, Perl in a Nutshell, 1st Edition, and contributed to many other O¿Reilly titles. He is an avid fan of professional tennis, and when he¿s not checking for tennis scores on the Web, he enjoys cooking, electronic music, troubleshooting his home-built PC, and watching too much television.